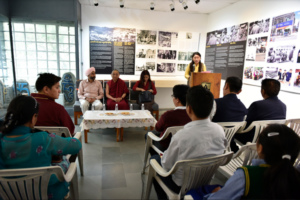 DHARAMSHALA: Kalon of Department of Religion and Culture, CTA, Ven Karma Gelek Yuthok initiated a two-day event organised by the DIIR Tibet Museum to celebrate the 41st International Museum Day. 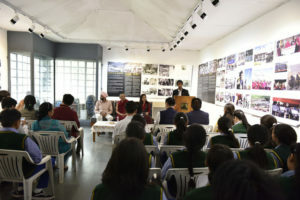 The inauguration was attended by Secretary (Equivalent) Tenzin Dhardon Sharling, Department of Information and International Relations, Dr Hirday Paul Singh, Secretary General, Sobha Singh Memorial Art Society, Museum Acting Director, Rinchen Dorjee along with students of the Tibetans Children Village and representatives of Tibetan organisations based in Dharamshala. Kalon Ven Karma Gelek Yuthok inaugurated the event with the lighting of the Tibetan butter lamp. 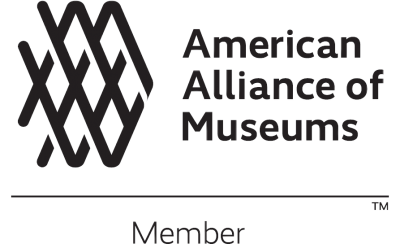 The theme of the two-day event is Hyperconnected Museums: New Approaches, New Publics. Chief guest, Kalon Karma Gelek Yuthok said, “Today marks the 41st International Museum Day, while we celebrate the day, it is equally important to revisit the vision and guiding principles of these historically significant occasions”. 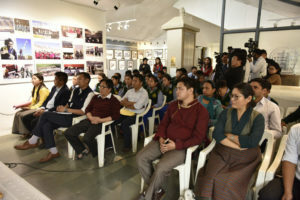 Kalon commended the Tibet Museum for its excellent contribution in promoting Tibet’s culture, religion and the Tibetan struggle through the medium. He added that the Museum has creatively used the platform and has been running successfully particularly in the last decade. Secretary (Equivalent) Tenzin Dhardon Sharling, Department of Information and International Relations said, “At this very hour, in 120 different countries, 30,000 museums are taking part in organising this event that celebrates the coming together of museums in the 21st-century digital landscape era. Likewise, it is in our humble endeavor to ride that international wive of redefining how museum tells their own stories”. She said the power of museum lies in its ability to inform the present and strengthen the future. “In remembering what has happened the brutal history of different nations and races, including one that our own country, Tibet continues to face tells us that we will take action on this. That is the power of museum”. Introducing the new Tibet Museum, DIIR Secretary said, “It is essentially a campaigning museum. It is going to tell what the world can make Tibet a success story and how each individual can take action in this regard. The tagline of the new Tibet Museum is “Experience, Educate, Engage”. “With the Tibet Museum, the story of Tibet Museum and what is going to happen in next one or two years is the beautiful symbiosis of human effort, able leadership, vision and technology and that is the hyperconnected museum that we can really be proud of”. 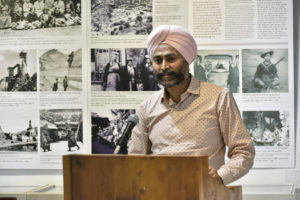 Dr Hirday Paul Singh, Secretary General, Sobha Singh Memorial Art Society said, “I’m extremely grateful to attend this special occasion and was inspiring experienced to get in touch with the beauty of the Arts of Tibet. I always admired the words of the Tibet leader, the 14th Dalai Lama and stand with Tibetan struggle. In spite of the inconveniences faced by the Tibetan people, I wish for the success of Tibet’s freedom”. The two-day event includes guided tour of the Tibet Museum, TIPA, LTWA, Mentsee Khang, Norbulingka talks and discussion on Tibetan history and culture. It will conclude on 19 May.